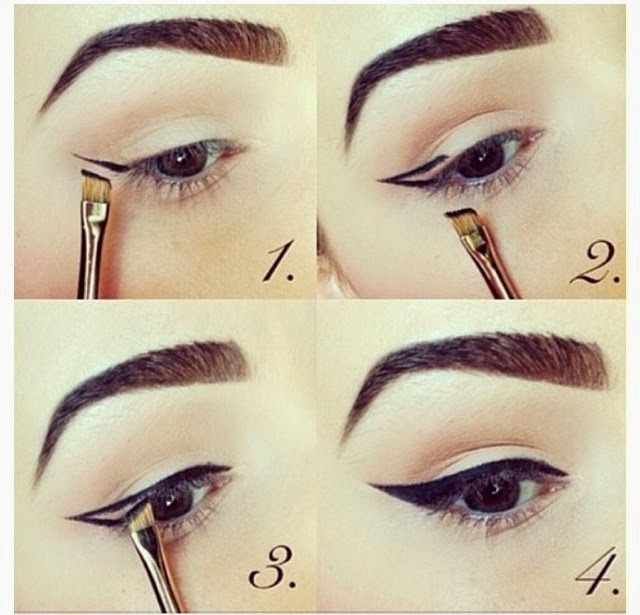 Eye make-ups are extremely important in wearing a flawless make-up. Ever noticed that after applying make-up on your face but you are yet to wear any eye make-up, your face tend to look pretty bare? This is to show you how important eyes make-ups are. To have a flawless/glowing make-up, it is of utmost important to pay close attention to your eye make-up. One’s eye make-up helps determine what kind of make-up to wear on other parts of the face like lips, cheeks etc. (this will be a post on its own). P.S- The glittery thing applied after applying the black eye liner is a glittery eye liner. 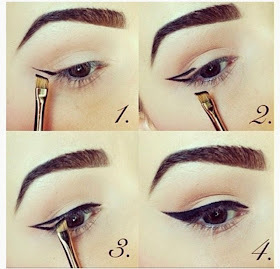 You could do that also if you want to beautify your cat eye the more. Then apply mascara or wear artificial lashes and you are good to go. Or, you could follow the steps as shown in picture B above. Any of the steps above are easy to do and they will instantly give you that perfect cat eye you so desire. 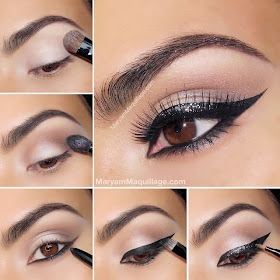 Enjoy looking beautiful with the perfect cat eye. Please be kind enough to share this post with others and please also feel free to comment below.